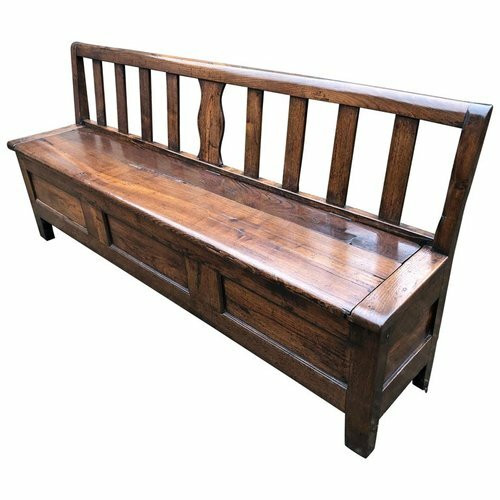 DescriptionA very good quality and extremely practical large French provincial beautifully figured chestnut bench with a huge amount of storage space underneath the seat. Recently given a bees wax polish. Superb colour and patina.